IBM branded (non-generic) 146.8GB 10K FC HDD for your IBM TotalStorage or FAStT series need. 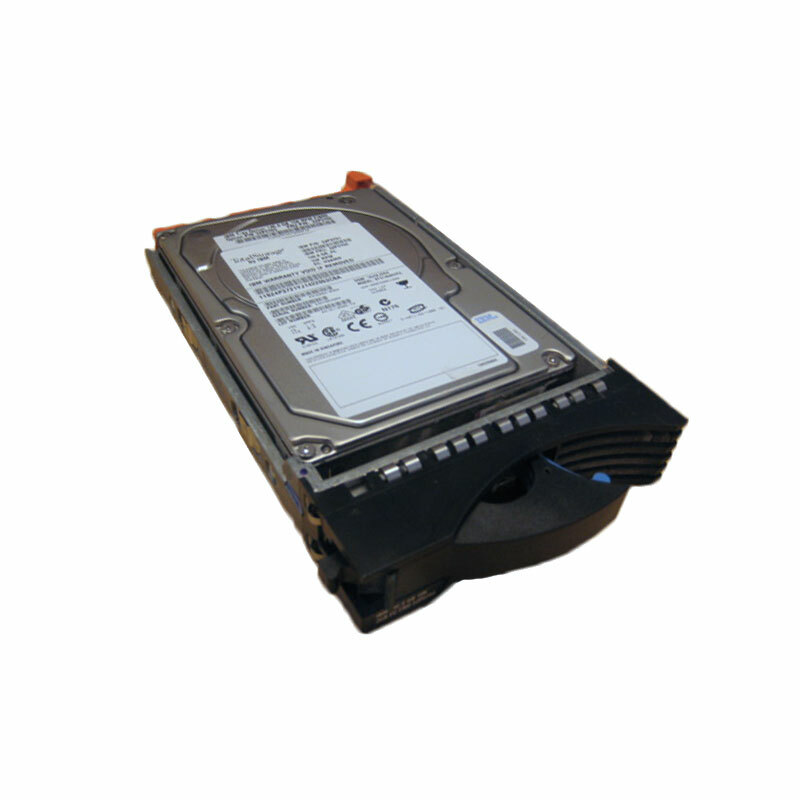 The IBM 5207 is a 146.8GB 10k RPM FC hard drive for use specifically with IBM TotalStorage or FAStT series devices. Whether you’re upgrading your IBM enterprise storage or simply looking for a replacement hard drive, we have what you need. If you don’t see the part listed that you’re looking for, please use our Contact Us form; as we have many parts in inventory that are not listed. Please note that all IBM hard drives, systems and parts are used / refurbished, fully-tested, and backed by a 60 day warranty. The IBM 1740-5207 FC Drive is a 2 Gb/sec E-DDM Fibre Channel Drive with an interface speed of 10,000 rpm and 146.8GB of raw capacity, used to add additional SAN storage capacity to your existing IBM DS4000, IBM FAStT series enterprise storage array, or other compatible device. An IBM 1740-5207 FC drive will deliver high speed and high performance for your SAN enterprise storage network.